Sam Johnson is a Freelance Researcher and has worked with Helen Weinstein and Jon Calver on a range of projects, researching, writing, and overseeing administrative duties on projects for both the Institute for the Public Understanding of the Past (IPUP) and Historyworks. Sam Johnson has also held the position of Research Associate with the Institute for the Public Understanding of the Past (IPUP), under the Director Helen Weinstein, helping to research, write and deliver material for the ‘Experiencing the Great War: York in World War One’ walking trails across a number of platforms, such as podcasts, web apps and leaflets. 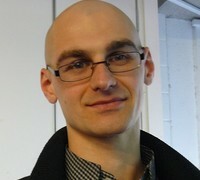 He has also worked as a reviewer and administrator on the Arts Council-funded project ‘Supporting Practice in Participation’ led by Helen Weinstein, which has delivered a resource helping to support practitioners to learn about best practice and case studies in widening participation and equitable partnerships. This collaborative project between IPUP, The Diversity in Heritage Group (DHG), The Collections Trust, and The British Museum pools expertise about public partnerships and participation from museums, heritage institutions and arts organisations into an online portal (accessible here http://www.collectionslink.org.uk/discover/participation).